Russian oligarch Mikhail Fridman’s investment fund LetterOne has closed a €5.1 billion deal with Germany’s RWE to buy its oil and gas arm Dea, despite an attempt by the UK to block the British part of the purchase. The LetterOne Group and RWE AG completed the sale of RWE Dea AG to LetterOne for the price of €5.1 billion, RWE said in a statement on its website Monday. The acquisition came after the UK’s Department of Energy and Climate Change announced on Saturday it would not approve the sale of the British North Sea natural gas fields, which form 20 percent of the Dea transaction. The UK expressed concerns over the risk that further anti-Russia sanctions might affect Fridman’s LetterOne group. Fridman said he would sue the British government over its attempts to block the acquisition of the oil and gas fields, the Financial Times reported. Fridman’s Luxembourg-based holding company LetterOne announced its plans to buy RWE’s Dea last spring. The German government approved the deal then. However, in October the British government blocked Fridman’s multibillion euro deal to buy Dea, which sells oil and gas to the UK, Germany, Denmark and Egypt. The UK government said RWE and LetterOne have to find a third party to purchase the British assets. “The sale of RWE Dea demonstrates that even in difficult conditions, we continue to realize our plans. Both parties negotiated good value for money, and RWE can now focus fully on its core business,” CEO Peter Terium said, adding that the transaction was not only an important milestone for the RWE Group but was beneficial for all involved. “Dea gets a new owner who wants to invest long-term in the oil and gas production business and will guide the company into a positive future,” he said. 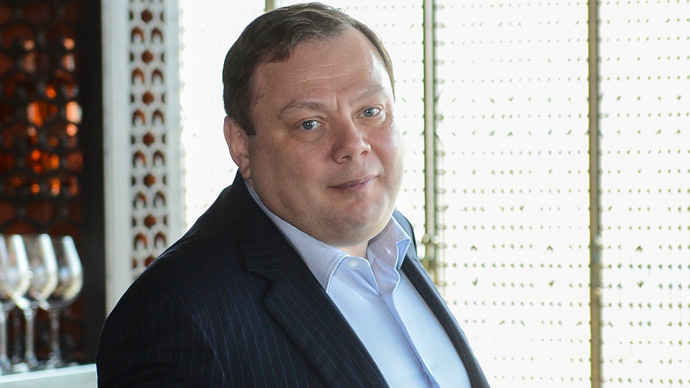 Mikhail Fridman is also pleased with the deal. “We are delighted to have completed the acquisition of Dea. We now look forward to working with Dea’s management and staff. Our ambition is to develop and grow Dea. We are convinced that the current macroeconomic environment and the low oil price, give us an opportunity to achieve our ambition,” he said. Fridman appointed the former BP Chief Executive John Browne as the executive chairman of LetterOne’s L1 Energy unit after the Dea deal was signed Monday. Browne is already an adviser to LetterOne, and had worked together with Fridman as partners in TNK-BP. “L1 Energy and I share a unique ambition: to build a brand new energy company at a time of great change in the sector. L1 Energy is investing for the long-term with a team of world-class energy and financial professionals. I am delighted to join that team,” John Browne was cited as saying on the website of LetterOne. LetterOne was set up by Russian businessman Mikhail Fridman and his co-investor German Khan last year to invest part of the $14 billion they gained from selling their stake in the TNK-BP oil venture. Long-term investments in the exploration and production of hydrocarbons, oilfield services and other oil and gas infrastructure projects are among the main tasks of the company.